I am afraid that I did the deceptive Brass and Linseeded Hickory. I was tempted to crudely mark my name into the wood like on all of grandfather’s tools that I used to make it. I am sad I won’t see how it looks in 50 years, I think the ol’ fart woulda liked it. 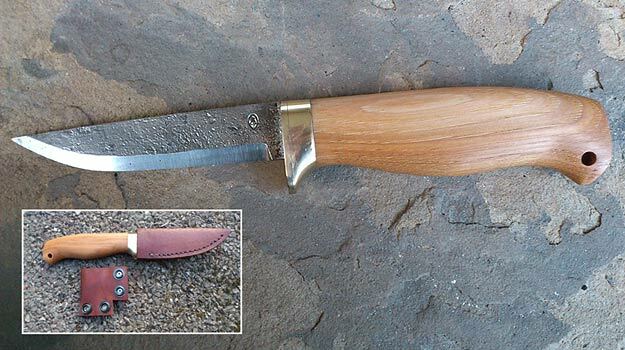 This entry was posted in Bushcraft Clothing & Equipment, Customer Posts on July 26, 2012 by Woodlore Team.